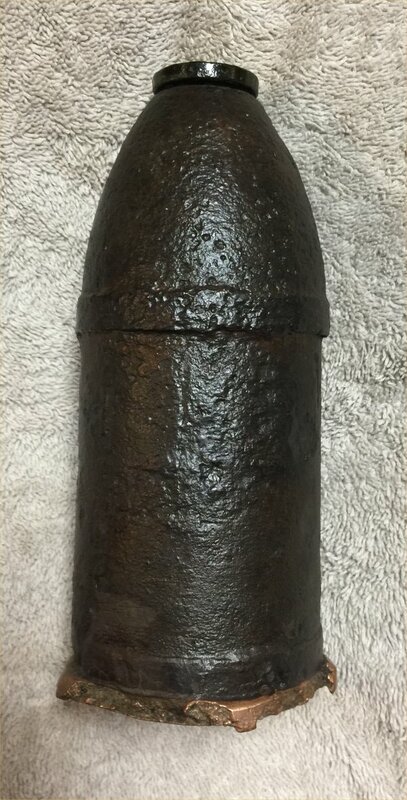 Description:This is a nice economical example of a very Confederate shell. This example came from a lady who contacted me to sell her late father's small shell collection. She said he only hunted around Atlanta so it had to come from around there somewhere. The iron is very hard with just some scattered small ground action. The bourrelets are nice and crisp. 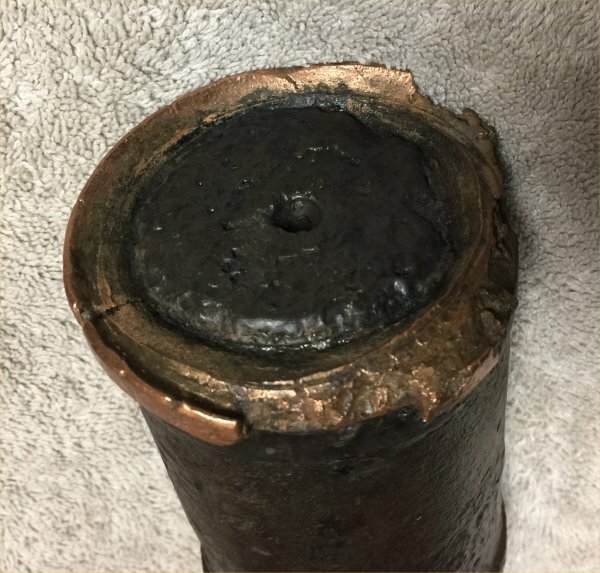 The copper sabot is mostly present but the shell appears to have tumbled and impacted on the bottom causing some chipping and a little flaring of what didn't break off. 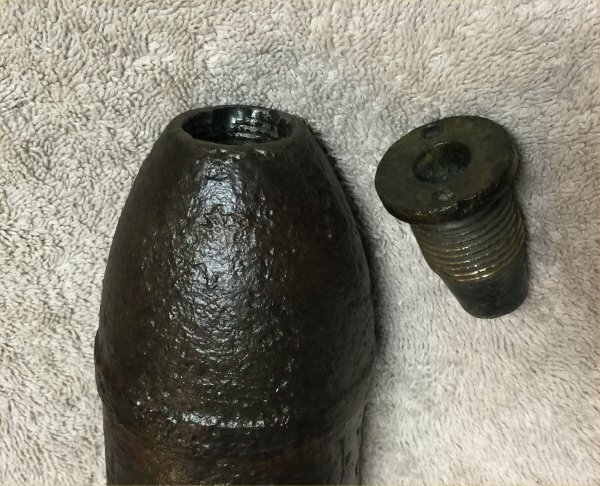 It may also have been that it was shot from a very worn out gun and the brittle sabot expanded with some breaking away on firing. A really neat aspect of this shell is that the fuse unscrews showing very good shell threads. More than likely this means the fuse is not original to the shell but I don't know. Note the shell is much shinier in the image than in real life. 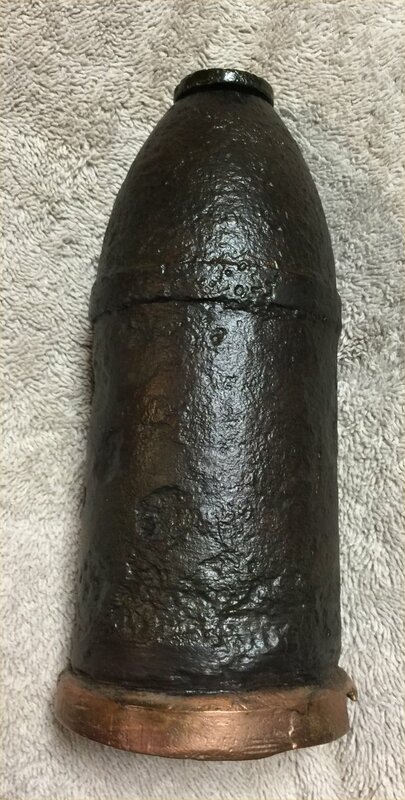 This shell is disarmed, cleaned and coated.